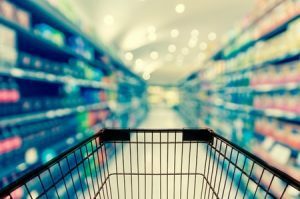 Marks And Spencer Accident Claims – How Much Compensation Can I Claim? Just the same as any other business, Marks and Spencer have to have health and safety measures in place to protect their employees and the general public that shop in their stores. They also need to be ‘hazard aware’ and take reasonable steps to prevent accidents from happening. If they fail at this resulting in someone suffering an injury, then the injured party can make a Marks and Spencer compensation claim. Carry on reading to find out what’s involved in making a claim and how to begin. A guide to Marks and Spencer accident claims for injuries. What is an accident at Marks and Spencer? What to do if you are involved in an accident at Marks and Spencer causing injury. How to begin a Marks and Spencer accident injury claim. I had an accident whilst shopping at Marks and Spencer, can I claim compensation? Marks and Spencer accident claims at work. Marks and Spencer company statement on Health and Safety at work. Marks and Spencer slip, trip or fall claims. What can be claimed for after an accident in Marks and Spencer causing injury? The most common types of accidents at Marks and Spencer. How much compensation will I get after an accident at Marks and Spencer causing injury? No Win No Fee personal injury claims. If you have been injured due to an accident at Marks and Spencer and it was no fault of your own, then it’s very likely you can make a injury claim. Whether you are an employee and were injured whilst working at Marks and Spencer, or whether you are a member of the general public and were injured whilst doing your shopping, you will be entitled to make an accident claim against Marks and Spencer. There are numerous types of accidents that can occur in a store such as Marks and Spencer and they might be down to negligence of health and safety rules. We have years of experience of dealing with M & S claims and will certainly help you to get the compensation payout you deserve. This guide will show you all the necessary steps you need to take when launching a claim, and give lots of information such as eligibility, average payout amounts and much more. Food poisoning from either their in-store café or perhaps out of date or spoiled food bought in the food section of the store. Staff falling off of store step ladders. Injuries sustained can vary from being fairly minor such as a few bruises to being very severe such as sickness, broken bones and so on, which would cause a lot more pain and suffering and have more of an impact on the injured person’s life. One example of a fall in Marks and Spencer claim was in 2005 when a customer who was doing her shopping, slipped on a couple of grapes that had fallen onto the floor in an aisle. She ended up with a broken shoulder that needed shoulder replacement surgery. Marks and Spencer settled out of court finally in 2009 and agreed to pay the injured lady £27,500. If you have suffered an injury after having an accident whilst shopping or working in Marks and Spencer, then don’t hesitate to give us a call and our expert solicitors will endeavour to get you the maximum amount of compensation that they possibly can. Witnesses – Get any witnesses contact details. Witness statements are really useful when making a compensation claim. Photos – Take any photos of the area where the accident occurred and also of any injuries sustained. Medical Report – Visit a medical professional to have your injuries assessed. This is not only important for your health, but also a medical report is useful to your claim as well because it will outline your injuries, the pain and suffering you have experienced, treatment plans and expected recovery. This will be used to help determine the amount of compensation you are entitled to. Expenses – Keep a record of any expenses incurred as a direct result of the accident, such as prescription fees, travel expenses, counselling costs etc. Report – Make sure the accident has been reported to Marks and Spencer and recorded in the accident book, and ask for a copy. Make Notes – As soon as you can, make a note of what happened so that you don’t forget anything that could strengthen your case. If you need to start Marks and Spencer accident claims, we can help you to do so. All you need to do is give us a call and we can begin to work on your case. We have highly experienced solicitors who specialise in the personal injury claims industry and can help you to get the compensation payout that you are entitled to. When you call us, we will provide you with a free consultancy session so that you can ask as many questions as you need to regarding making your claim and we can also gather some information from you in order to begin your claim. We can also offer to provide you with an appointment for a local medical at no cost to you if required. Once we’ve got all the details we need to start working on your case, we will then proceed with making your compensation claim on a No Win No Fee basis. This means that you will have nothing to pay unless your claim is a success and so there are no surprise expensive legal fees. No Win No Fee is explained in more detail further on in the guide. If you’ve had an accident that has resulted in an injury that was not your fault but down to the negligence of Marks and Spencer, then you will be able to make a claim. All Marks and Spencer employees should have undergone training in the relevant health and safety criteria for their departments and the store in general to prevent accidents if they can. Failure to follow procedures and act as soon as an issue becomes apparent can result in an accident causing injury taking place. If the accident was caused by items being left lying around that you’ve tripped over, food or drink on the floor that you’ve slipped on, item’s falling off of shelving onto you, and so on, you are entitled to compensation. Or maybe it’s that you’ve suffered food poisoning from the lunch you had at the café? Again, you can claim compensation. Just give us a call and we will help you in any way that we can. Our personal injury solicitors team will launch your claim and get you that compensation that you are entitled to. It is the employer’s duty to protect their staff and inform them of any health and safety issues that could affect them. Risks assessments should be carried out to ensure a particular job can be carried out safely. The employees also have a personal responsibility to protect themselves from unnecessary accidents too. If you’ve been injured at work, one of the first questions you may be asking is ‘injured at work, do I get paid?’ Well, in most circumstances you’ll only have a right to sick pay if you need time off due to an injury sustained at work. There is an accident at work time limit of three years from the date of the accident and so any claim should be launched before that time expires. We offer an accident at work No Win No Fee service and can help you to launch your claim. Marks and Spencer is a multi-channel retailer and is dedicated to ensuring the health, safety and well-being of all the employees and customers. Both employers and employees have a duty of care and responsibility of doing all they can to prevent accidents at work from occurring. Employers care about their employees’ well-being and are dedicated to controlling the health and safety at work policies through communication with their staff. Marks and Spencer carefully follow the health and safety regulations in accordance with the legislation in all of the countries they operate in. They also follow their own in-house health and safety rules. Marks and Spencer provide adequate resources to make sure it is a safe working environment. Marks and Spencer regularly update and check on their health and safety procedures. All employees should have enough training, information and supervision and it is Marks and Spencer’s duty to provide these. Employees should be regularly informed including through the fire, health and safety officers. The Fire Health and Safety Committee study the effective management of fire, health and safety across M&S with the idea of promoting the well-being and safety of employees and customers. The Store Manager (or relevant management team for non-store locations) is accountable and responsible for making sure , with the Fire, Health and Safety Officer and other safety representatives, that this Health and Safety Policy is put in place and enforced. All employees must be aware that they have an individual responsibility. This includes taking care of the health and safety for yourself and others, following health and safety policies and standards and reporting incidents. Marks and Spencer employees will identify, manage and monitor risk with the idea of reducing it as far as reasonably possible. Where necessary, they will obtain advice to help with risk management. They will select competent contractors that hold the relevant experience, skills and knowledge and ensure that they follow our health and safety requirements. Marks and Spencer will investigate accidents and take action and make improvements where required. We will also comply with our statutory reporting obligations. If all health and safety regulations were followed meticulously, the number of accidents at work would be greatly reduced. Although Marks and Spencer have a company statement on health and safety in place, it really needs to be enforced to ensure negligence doesn’t become an issue. Regardless of whether you are an employee or a customer, if you have suffered an injury as a result of a slip, trip or fall in Marks and Spencer and it wasn’t your fault, but the fault of the company, then you may make M & S claims for compensation. Call us and we can help you with this and get you the maximum amount of compensation you deserve. Loss of earnings – This refers to the amount of income you have lost as a direct result of your injury sustained at Marks and Spencer and also the amount of potential future earnings too. Medical Expenses – You can claim for any medical expenses that you have incurred in relation to your accident, such as prescription fees, treatment costs etc. General Damages – This refers to the compensation you should receive for your injuries and the pain and suffering you have experienced. Travel Expenses – Any travel costs to and fro the hospital, any vehicle adaptions or alternative travelling costs can be included in your claim. Customers or staff slipping on a wet floor due to a spillage that hasn’t been cleared up. Tripping over any boxes, baskets or anything else that may have been left in one of the aisles. Customer or staff being hit by an item coming off of a shelf. Injury caused by a trolley that doesn’t work properly. Being knocked causing an injury, by a trolley being pushed by a member of staff. Tripping over a pot hole in the car park. With each of these most common accidents, all could be avoided if health and safety regulations were strictly adhered to by every member of staff and also if the injured party were more careful on their part. If you are unsure as to whom maybe to blame, just give us a ring and we can advise you on where to go from there. We have plenty of experience in these types of claims and so you can rest assure that your claim will be in safe hands. It would be great if we could just give you an exact figure of how much you can claim, but unfortunately it is impossible as there are so many different variables in each person’s claim. You may have noticed an accident at work claim calculator but these can only give an estimate., so, we have put together a table for you showing the average typical compensation amounts for certain injuries to give you an idea as to what you may possibly entitled to. We haven’t listed every injury possible though as it would be never ending, so don’t worry if your injury isn’t listed, ring us and we can assist you. Loss of earnings £10,000 - £400,000 There is the potential for a higher payout than the maximum based upon the future earning potential of the claimant. The payout is calculated by assessing future prospects and current pay grade. Loss of benefits £5,000 - £500,000 Again, there is the potential for a higher than maximum payout based upon the claimants current pay grade. This amount is based on actual income lost. Pain and suffering £1,000 - £200,000 This refers to the level of pain and suffering experienced and determines how much the claimant will receive. Fractures of nose or nasal complex £1,300 - £17,575 The lower amount of payout is for simple fractures with full recovery. The higher end of the payout is for serious or multiple fractures that require surgery or result in permanent damage. Fracture of the cheekbones £1,775 - £12,000 As above, the lower amount is for simple fractures with full recovery, the higher end for serious fractures requiring surgery of resulting in permanent damage. Fracture of the jaw £4,900 - £34,600 The lower end of the payout amount is for simple fractures that require immobilisation but complete recovery is expected. The higher end is for serious fractures that result in prolonged treatment and permanent damage. Minor Knee injury £4,750 - £19,600 Short term damage to the knee causing pain and loss of function. Moderate Knee injury £22,250 - £33,200 Long term damage causing on going pain and loss of function of the knee. Severe knee injury £39,700 - £72,970 Permanent loss of function to one or both knees and ongoing pain and suffering. Wrist injury Minor - severe £2,550 - £44,500 Minor sprains causing short term pain, to loss of function of one or both wrists. Minor Elbow injury £3,100 - £9,750 Short term slight loss of function and pain. Moderate Elbow injury £11,400 - £23,900 Partial loss of function of the elbow causing pain. Severe Elbow injury £29,200 - £42,250 Total loss of function of the elbow, surgery may possibly be needed. Minor Shoulder injury £350 - £6,700 Arm movement is restricted for short term. Severe shoulder injury £9,500 - £37,000 Impaired movement and numbness of the arm. Surgery may be required. Minor back injury £350 - £9,850 Damage to back is temporary with short term pain. Moderate back injury £8,750 - 30,750 Damage to the back with long term ongoing pain. Severe back injury £29,750 - £123,300 Paralysis and loss of motor function. Also, you may want to investigate accidents at work compensation examples if you’re an M&S employee and have a look at some accident at work compensation case studies where you may find a similar case to yours. But as always, give us a call for our professional help if you need to. All of our solicitors work on a No Win No Fee basis. No Win No Fee means that there are no legal fees to pay until compensation is successfully claimed and paid. If the claim is unsuccessful, the claimant pays nothing. So there really is no need to worry about finances at all when you use our service and your case need not be abandoned because you cannot afford to proceed. With No Win No Fee it is in our best interest to only work on cases that we believe have a genuine chance of being successful, and so we won’t waste your time or cause you any unnecessary stress if we feel that it is extremely unlikely to win your case, after all, our payment relies on a good outcome. But if you were to choose a solicitor who is paid by the hour however, the outcome doesn’t have an impact on their payment as win or lose, they get paid anyway and so could end up costing you thousands with no compensation at the end. Why take the risk? With our No Win No Fee service there is no financial risk at all. brilliant track record of successful claims with maximum payout amounts for our clients. We have lots of experience in dealing with injury claims such as back injury at work claims, slip trip fall claims and many more similar claims and so you can have every confidence that we know what we are doing. We are professional, reliable, honest, caring and won’t let you down. We know that you are going through a tough time at the moment and will do our best to make the process of your claim run as smooth and as quick as possible so you don’t have to deal with any extra worries or stress. We will keep you informed at every step and will focus on securing your compensation, allowing you to sit back and concentrate on your recovery. If you have any queries regarding Marks and Spencer injury claims or believe you may be entitled to compensation, please do not hesitate to call us on 0800 073 8804. Your call will be answered by a member of our professional and friendly team who will be able to help you in any way that they can. They can answer your questions and explain the next steps in the claiming process and begin launching your claim to secure the maximum compensation payout you deserve. Sensible long and short term actions to improve supermarket’s smooth floors. Gives information on Health and Safety in the retail industry. If you have had a slip trip or fall find out how much compensation you can claim today.